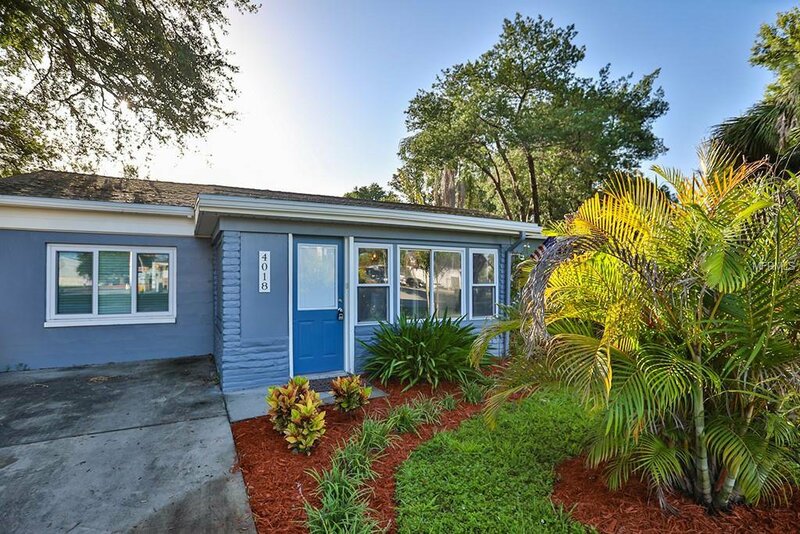 Come see this beautiful and affordable South Tampa home before its gone! This updated home has a split floor plan with an over sized master bedroom and walk-in closet. The master bathroom has a large double walk-in shower. The renovated kitchen has higher end stainless steel appliances with a gas range. Walk out the back door to a massive 400 square foot deck complete with a sink, cabinets, hand-painted tile counter top and a large island to gather around. A perfect space to barbecue and entertain family and friends! The spacious lot includes a large shed and three raised planting beds perfect for herbs and vegetables. The location is convenient to both St Pete and Downtown Tampa and is just minutes from all the South Tampa restaurants and shopping! Listing courtesy of CENTURY 21 LIST WITH BEGGINS. Selling Office: KELLER WILLIAMS TAMPA CENTRAL.